The coastline is scattered with very few small, traditional cottages and homes, far from overdeveloped with new buildings. From the initial site visit, it was clear that any proposed building would need to be respectful. 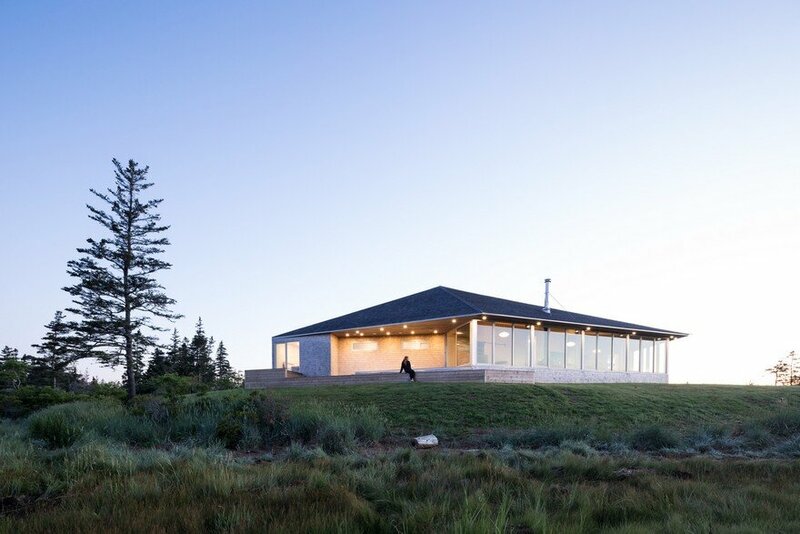 The form of the Sluice Point house would be low, long and horizontal and the material palette would be composed of natural, local materials which would blend into the landscape. 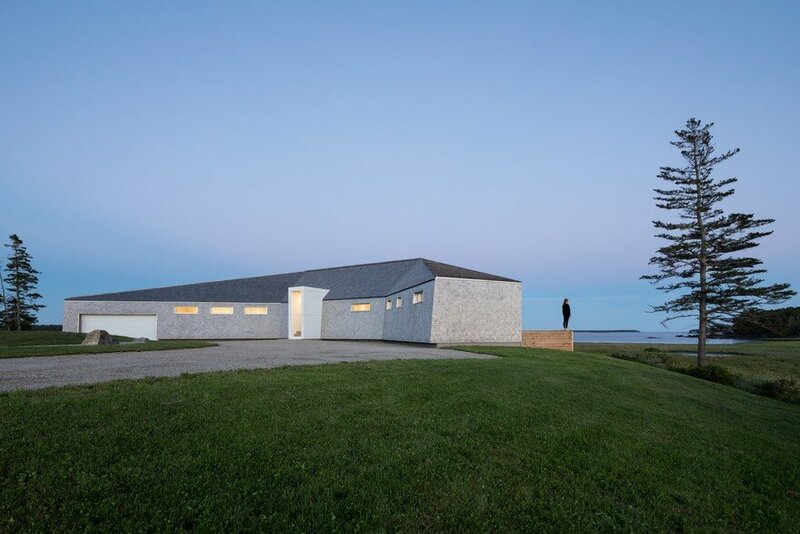 Formally, the building is inspired by the infamous Acadian salt water haystacks, “une barge”, which dot the local landscape. Historically, the haystacks allowed for storing hay on the open marshes on structures which kept it elevated and protected from the water when the marshes flooded. 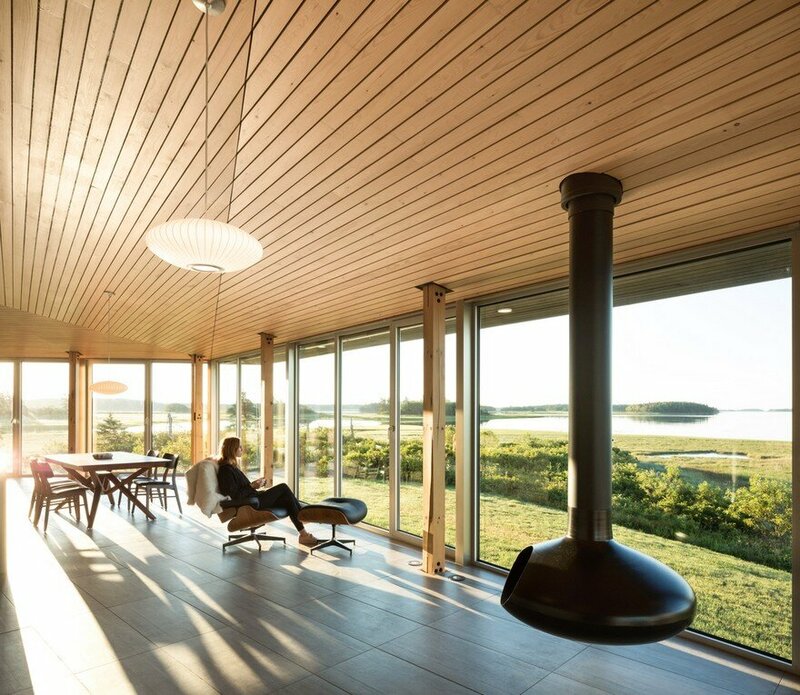 The clients are Swiss seasonal occupants, using the dwelling as an outlet for recreational activities such as swimming, fishing, boating, hiking and more. 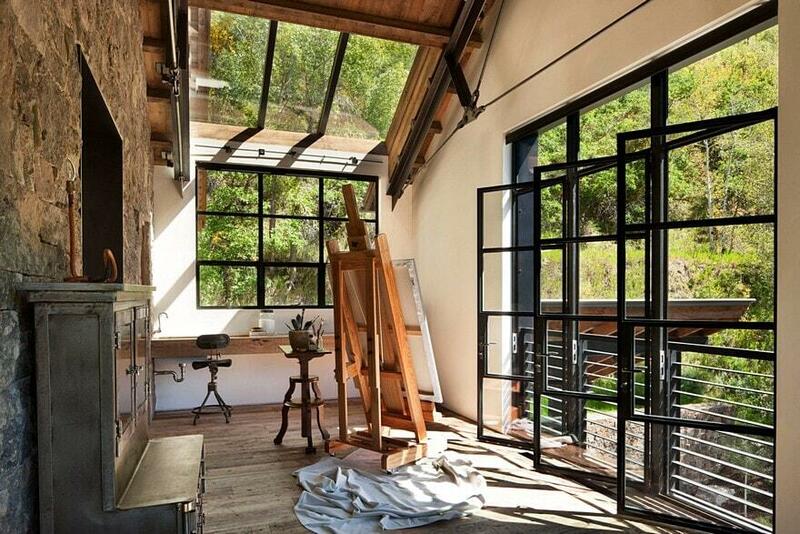 As such, it was crucial that space is designed to be durable, rugged and easily maintained. 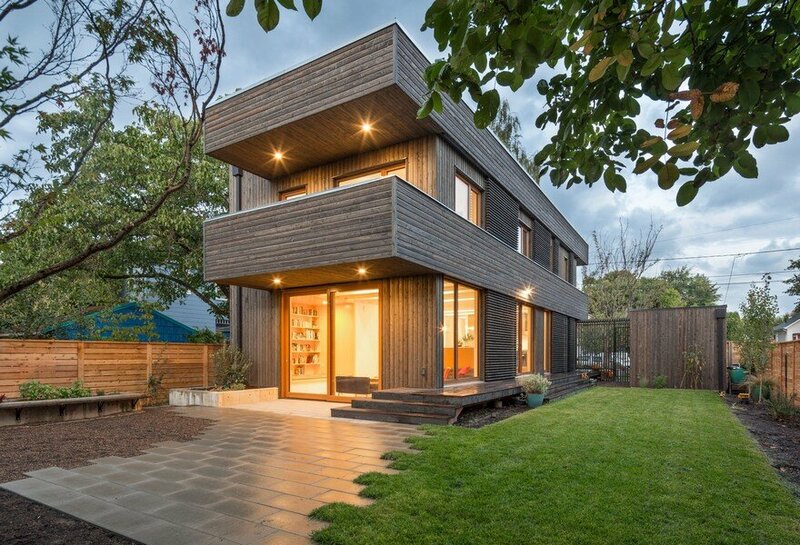 This was achieved by using a consistent palette of natural and raw materials such as concrete and local wood cladding. The client had several requirements that we were able to integrate into the early stages of design. 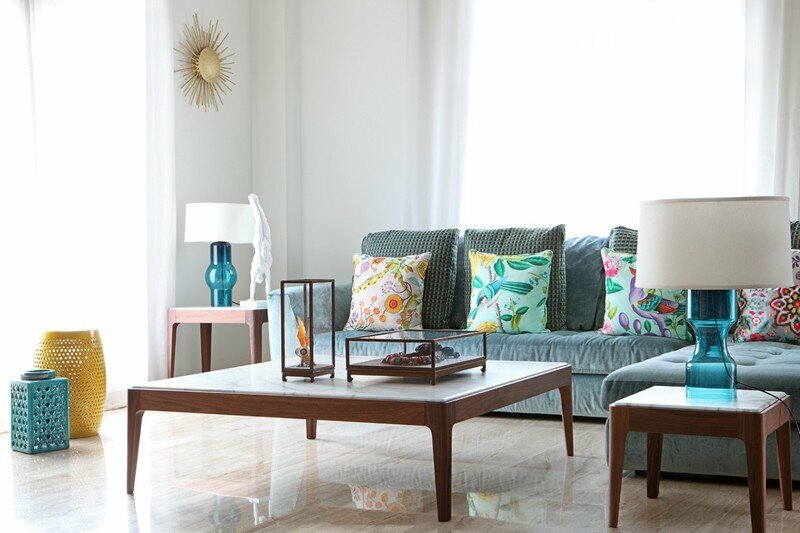 The great room space was to be open, versatile, and free from distraction when required to emphasize the exterior view. 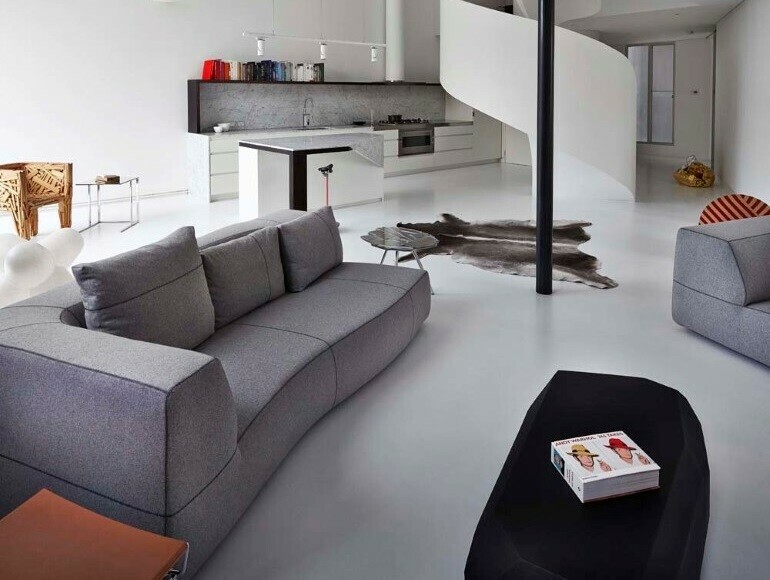 This translated into space which could be transformed from a fully programmed interior space to one which was completely concealed and minimal. 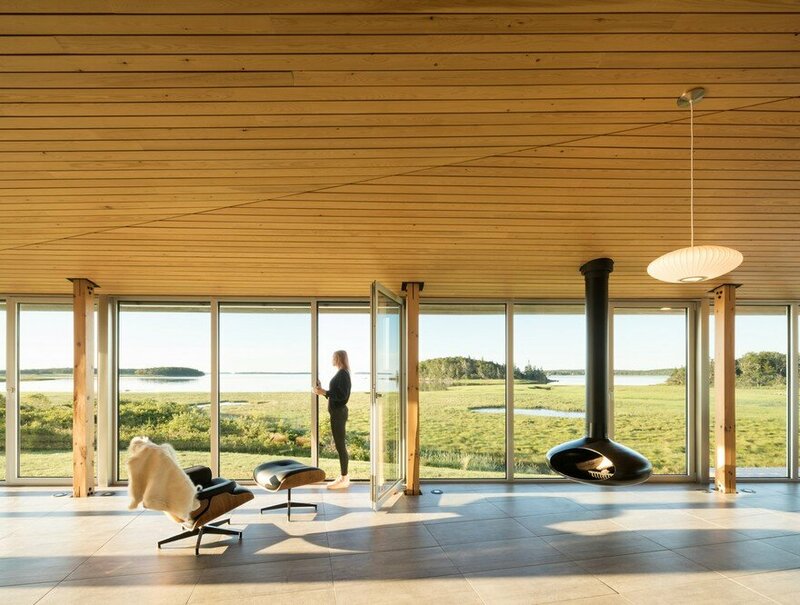 Flexible elements such as a series of sliding panels, barn doors, and a central, rotating fireplace allow the center of activity and gravitation to shift easily and flow naturally. The program required both open and covered outdoor deck spaces. One was to be used as a morning deck off of the master suite where the client could enjoy a cup of coffee and take in the early sunrise to the east. The second, a covered deck, was to be a space for evening entertainment, an extension of the living room where occupants and guests could enjoy the rotating fireplace from a covered space that could extend use into the shoulder seasons. 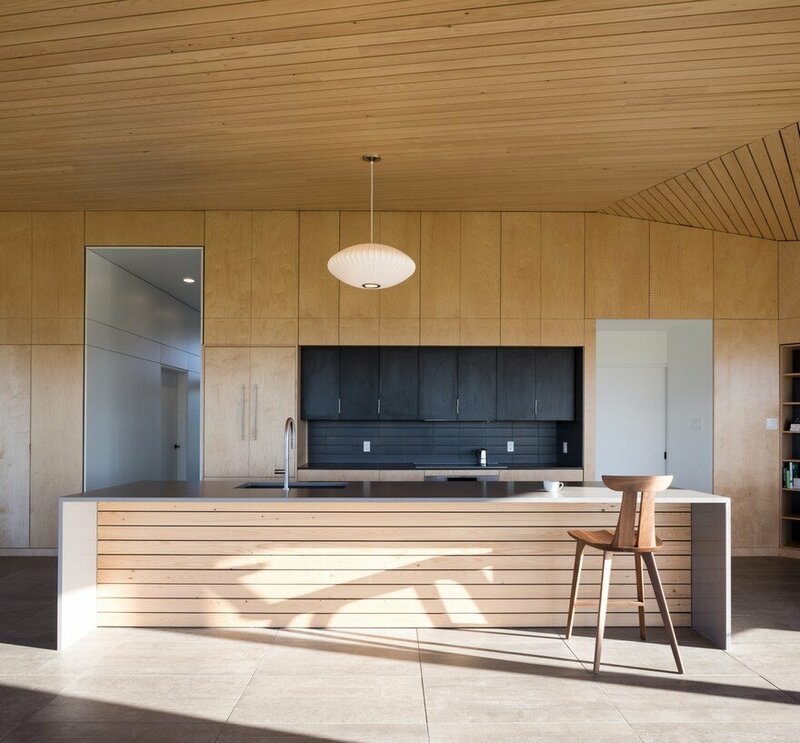 The semicircular design of the residence places the living areas along the ‘views’ side while weighing the services to the back of the floor plan. 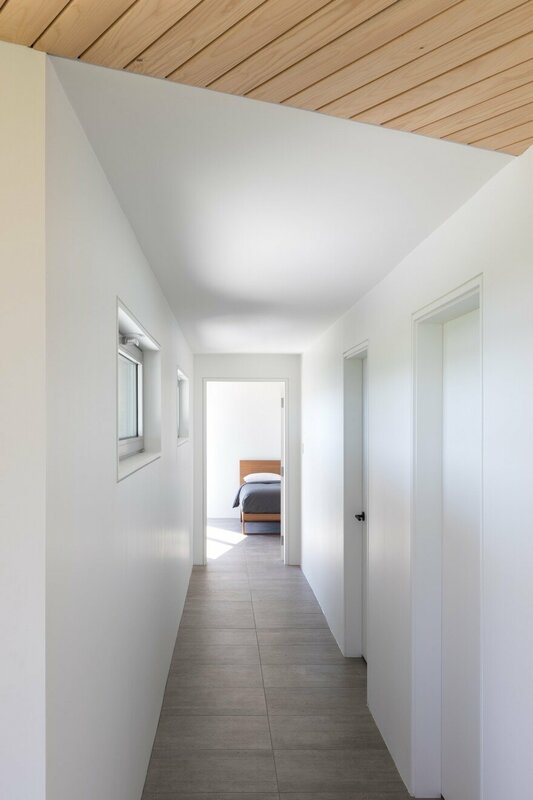 The structure is composed of flanking bedroom wings and a central indoor/outdoor great room space which is clad entirely in local clear spruce and birch millwork. 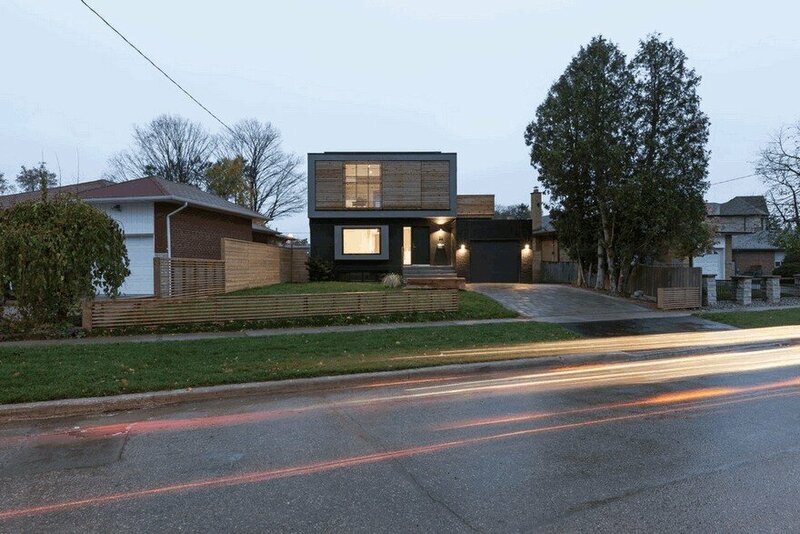 The monolithic look has a feeling of the space being carved from the wood exterior form. The materiality, form, and siting are all intrinsically connected to the local condition. 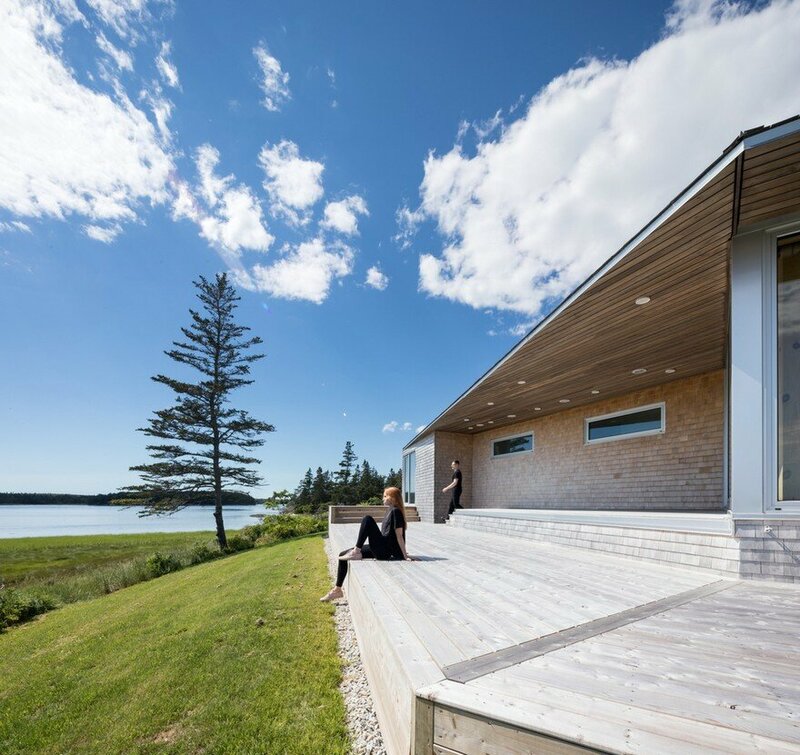 The economical shed roof is inspired by local fishing sheds and shanties spread along the Nova Scotia coastline – gently morphed. The roof framing spans the exterior walls, making for the most economical and efficient roof form possible. 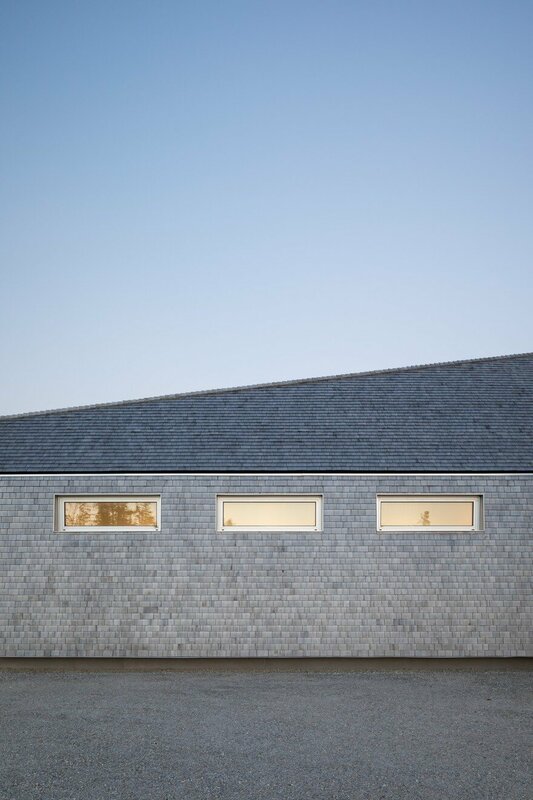 Both wall and roof are clad in the same eastern white cedar, locally sourced, creating a full wood shingle shell. 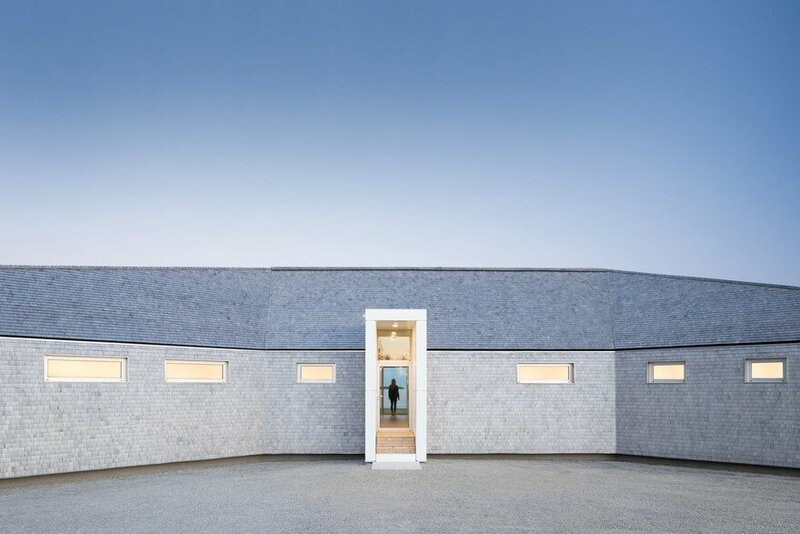 As one approaches the residence they are faced with a low-slung roof, gently canted wall, and a minimal amount of glazing in the form of broken dashed dot ribbon. 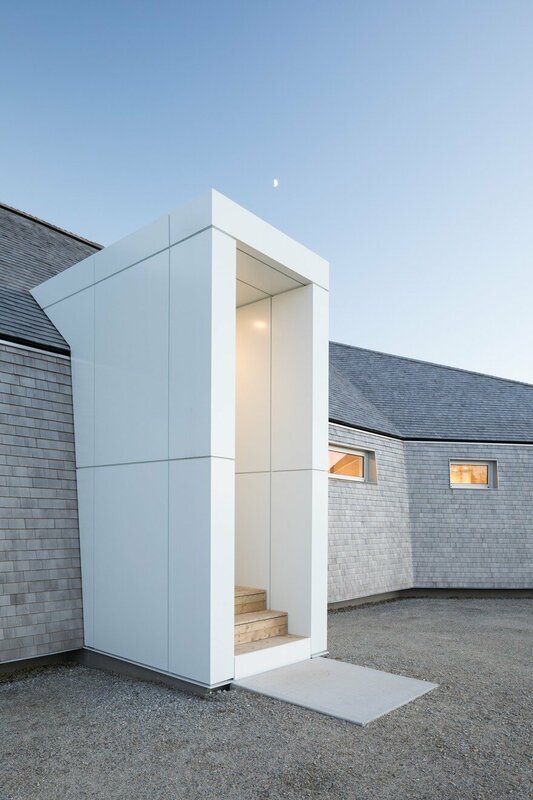 The apex of the elevation is highlighted with a shining white hoop marking the entry and piercing the center of the home. The entry hoop is in the orientation of a tall corridor, compressed on the sides. 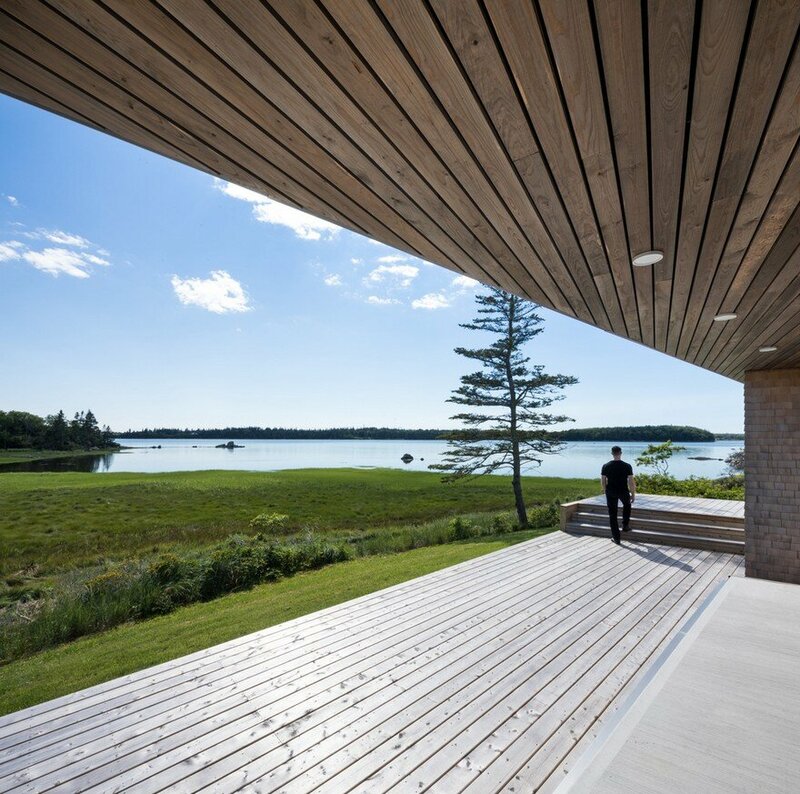 In extreme contrast, as one enters the space, passes through the threshold, and enters the great room, they are presented with a long, low horizontal panorama of the marshy coastline and island-dotted ocean view. 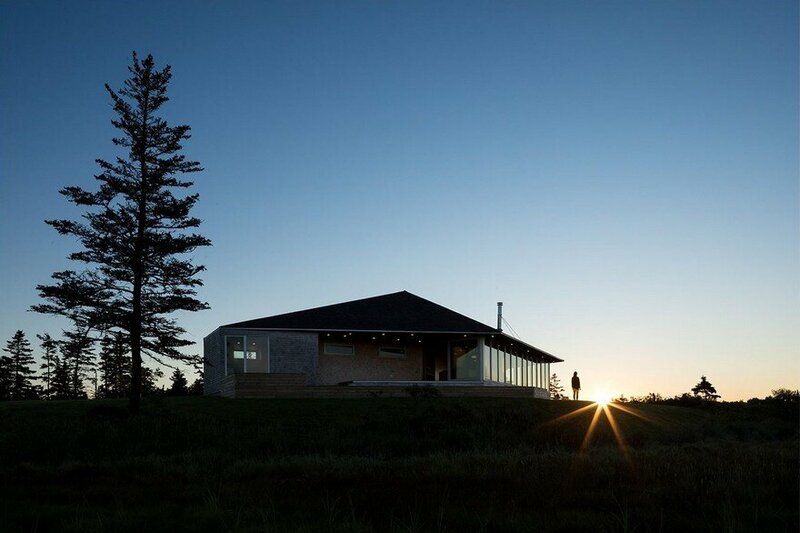 Until the point of entry, the panoramic view of the landscape is withheld from the visitor as the width of the house conceals the dramatic sight.